The Honda CB300R is a naked roadster with design based on the Honda Neo Sports Cafe. It will take on the likes of the KTM 390 Duke and BMW G 310 R in India. 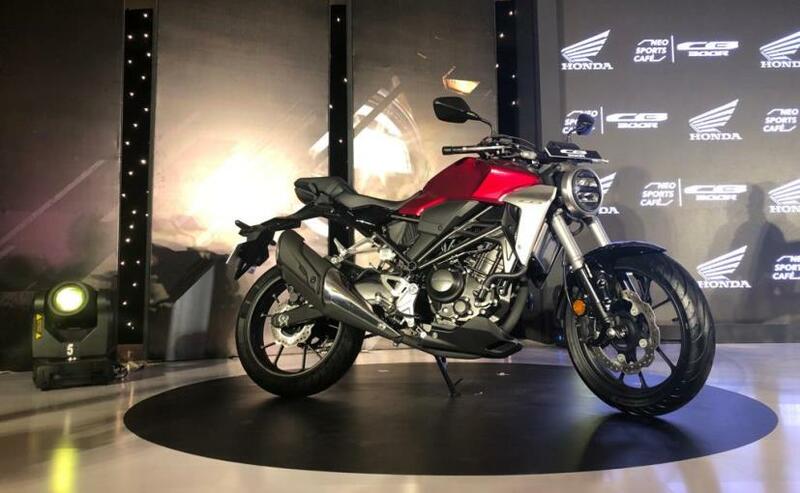 Honda Motorcycle and Scooter India (HMSI) has launched a brand new motorcycle, the Honda CB300R, at ₹ 2.41 lakh (ex-showroom Delhi). The Honda CB300R has a modern take on the classic cafe racer design, inspired from the Honda Neo Sports Cafe concept design. The CB3000R is assembled in India from completely knocked down (CKD) kits, and its design and features are the bike's USP. In India, the Honda CB300R is available in two colours - Matte Axis Grey Metallic and Candy Chromosphere Red. At that price, the Honda CB300R competes with the KTM 390 Duke, the BMW G 310 R , as well as the Royal Enfield Interceptor. The bike will be available in 22 cities across India. 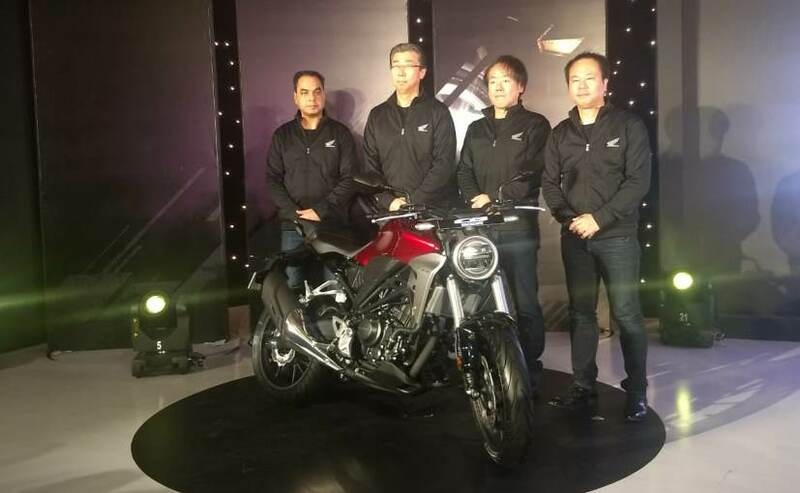 Yadvinder Singh Guleria, Senior VP, Sales and Marketing, Honda Motorcycles and Scooter India said, "The all new Neo Sports Café inspired CB300Ris a breakthrough modern take on the classic roadster design. With strategic pricing of ₹ 2.41 lakh (ex-showroom, India), Honda has put the spotlight on the growing middleweight category and motor enthusiasts across India have responded. In just 25 days since start of bookings, CB300R is already booked for over 3 months based on our current production plan! Introduction of CB300R will debut the new premium Silver Wing-mark in India." The Honda CB300R is powered by a liquid-cooled, DOHC, 286 cc, single-cylinder engine which puts out 30 bhp at 8,000 rpm and peak torque of 27.4 Nm at 6,500 rpm. Power is transmitted to the rear wheel via a six-speed gearbox and the kerb weight is rated at 147 kg. 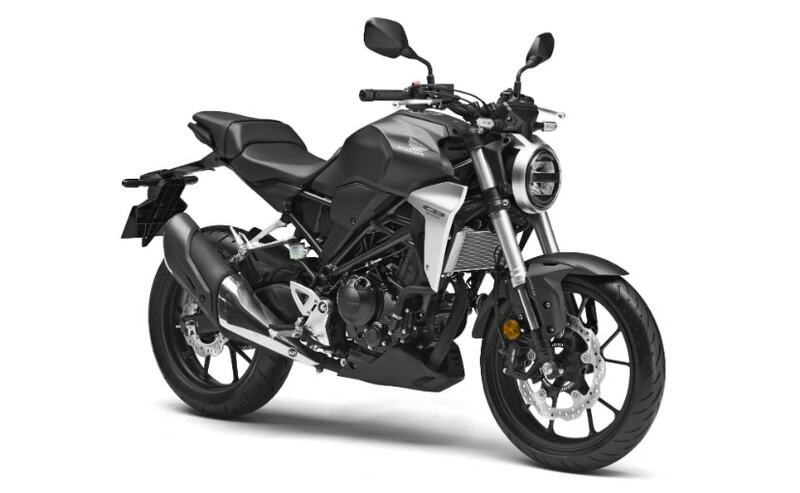 The fuel tank capacity is 10 litres, and Honda claims the range of the CB300R will be over 300 km in a tankful of fuel. The CB300R has 296 mm front disc brakes with radial mounted four-point brake calipers with standard ABS. And the sophisticated braking system is supported by an inertial measurement unit (IMU) seen on high-level sportbikes, to give precise front to rear distribution of ABS depending on the vehicle posture controlling the roll, pitch and yaw of the motorcycle. 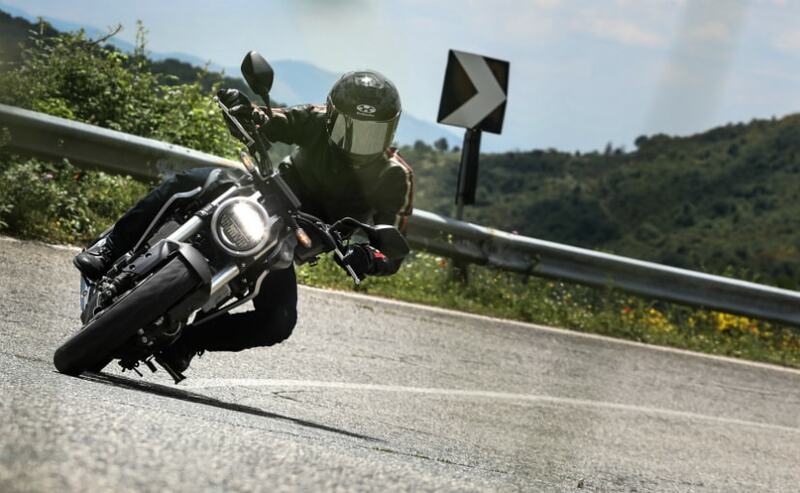 The CB300R runs on 17-inch alloy wheels shod with Michelin Pilot Street tyres. On the features front, the new CB300R comes with a full LED headlamp and taillamp, a full-digital LCD instrument panel and a completely radical and neo-retro design give the CB300R a unique and stylish design. The CB300R also gets 41 mm upside down front fork and a rear monoshock which is 7-step adjustable for preload. The Honda CB300R has been on sale in markets like Thailand, Europe and the US for some time now, and it has makes for an attractive proposition in the Indian market.